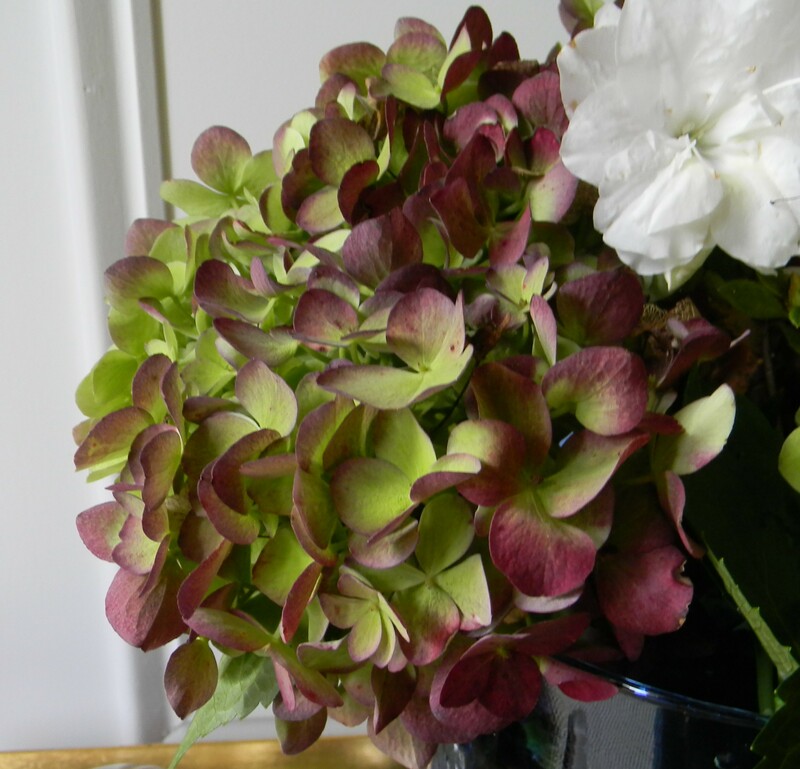 I am concentrating on hydrangeas for this edition of In a Vase on Monday. 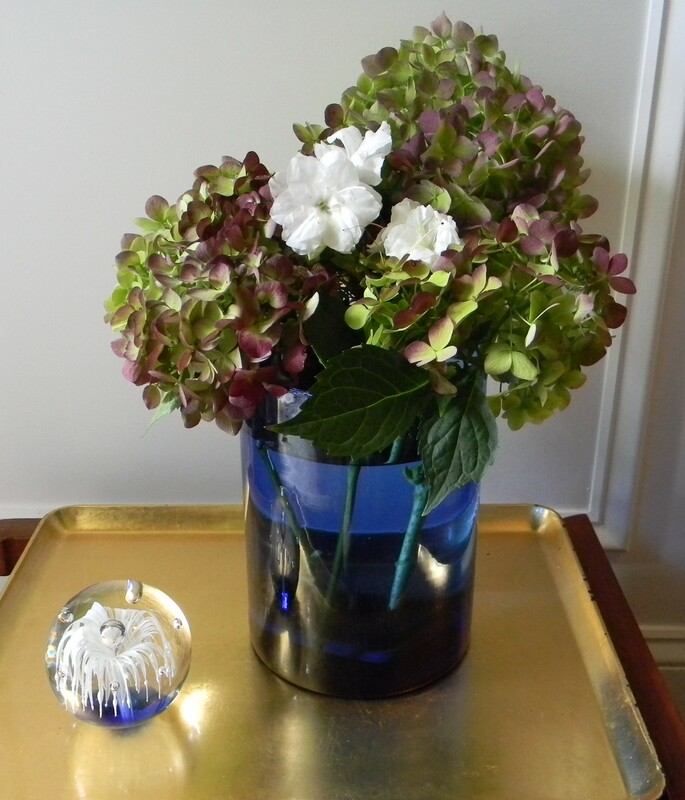 In my blue vase today are several blossoms from an ‘Endless Summer’ hydrangea. I added a touch of white from Encore azalea ‘Autumn Moonlight.’ The paper weight is another heirloom from my Arranger’s mother. One of its grand attributes of ‘Endless Summer’ is that it blooms on both new and old wood, so it means something is opening and maturing almost the entire season. I am intrigued by the changes that take place in the color of its blossoms. They start out snow white, turn pale blue or pink (depending on the chemical makeup of the soil…which I can influence), then begin to fade to a light green before fading yet further to an enchanting deep purple. In my garden now both ‘Endless Summer’ and its sister ‘Blushing Bride’ are covered with a new set of buds which are starting to open. I expect to have loads of color from them up until frost. Please click on In a Vase on Monday to visit the delightful postings of Cathy, the originator of this meme, at Rambling in the Garden. Her weekly challenge gives us the opportunity to share what is in bloom in our garden. This entry was posted in Gardening, In a Vase on Monday and tagged 'Endless Summer' hydrangea, Autumn Moonlight, blue vase, Cathy, Encore azalea, Endless Summer, hydrangea, In a Vase on Monday, paper weight. Bookmark the permalink. Love the reflection you get on the gold tray. Pretty hydrangeas too. Thanks, Marian. It has been a challenge to find a good spot for these photos. My “Arranger” suggested the tray as a likely prop. Thanks, Cathy, for starting this meme. We are enjoying being part of it. Wow, now I know what Endless Summer is supposed to look like. Up here in Wisconsin, it’s pretty much known as “Endless Failure”! Thanks, Linda. I’m sure you have some wonderful things there that I would love to have in my garden, but they can’t stand our heat. Exquisite color on your Endless Summer. Lovely arrangement. Thank you, Susie. My Arranger encouraged me to keep this one as simple as possible. I like the way the Hydrangea flowers dry – I avoid cutting them back until spring. We have let some dry naturally in the house and they have lasted awhile, but eventually they begin to shed and must be discarded. Beautiful! 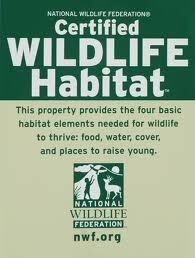 Do you add something to the water to preserve them like this? I heard glycerine does a good job. Thanks, Annette. We haven’t tried to preserve them, so have no first hand experience. I have heard the same about glycerine. One of these days, we will have to try it. Please report if you have success.